The weekend march for the Town Moor received front page coverage in the Newcastle Journal today (and you can read the article on ChronicleLive) following the overwhelming show of opposition by the local community to the council road building plans for Blue House Roundabout and Jesmond Dene Road. This follows coverage on Sunday’s BBC Look North evening news programme on BBCOne with local news coverage on ITV Tyne Tees News as well. “We are delighted to see such a cross section of people come out and show support for this campaign. Today we welcome you to our new HWJRA Facebook page. HWJ is currently under threat from development plans announced by the council for Blue House Roundabout and Jesmond Dene Road. 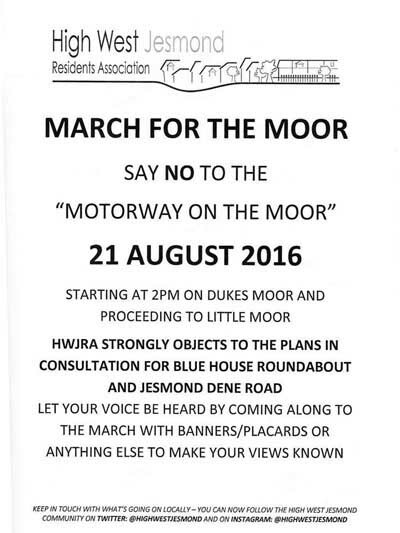 The public show of “NO” at the march for the moor on Sunday was overwhelming and thanks to residents for turning up. The public consultation is shortly closing and this is when we need to keep the pressure on. Please recommend this Facebook group to friends and neighbours living in the High West Jesmond area so that we can keep in easy contact. We will still leaflet the area but our voice can be heard and shared much quicker by using social media. A robust display of opposition by the local community was demonstrated today against the plans put forward by Newcastle City Council for the Blue House Roundabout and Jesmond Dene Road junctions. Here is a short video posted to YouTube by Simon Jones that we thought you might like to see. The Council are about to make 2 decisions that affect our area in a BIG way! The Council’s plans for moving the Blue House Roundabout 50 metres north and making it about ten times the size of the current roundabout have been met with almost unanimous disbelief and anger. Motorists, cyclists, pedestrians, environmentalists, local residents and businesses – pretty much everybody – have expressed serious concerns over the plans to tear up nearly 5 acres of beautiful Town Moor land, cut down 100 mature trees and construct a “motorway-style” roundabout in the middle of Little Moor and Dukes Moor. And for what purpose? The Council has not produced any traffic information to justify a proposal of this scale. As well as being part of the Town Moor, the Little Moor has been a designated “public open space” serving Jesmond and Gosforth residents for more than 80 years. lt rentains a popular and well used space in an area where access to such spaces is very limited. The road proposal will reduce the space by more than a third and the attractiveness of the space for recreational purposes will be severely curtailed. Petitions, news reports and all manner of social media activity are all united in their condemnation of this proposal. No right turn into Osborne Road from Jesmond Dene Road. Many residents need to access Jesmond for doctors, dentists, shops, banking, leisure – not everybody can do this by walking or cycling. lf these proposals go through then the only way to drive into Jesmond would be to go down to Forsyth Road (already identified by locals as a traffic black spot), or further on down to Clayton Road and all the associated school traffic. The only other route available would be to drive all the way down to the Central Motorway and come up Osborne Road from the South! The number 33 bus would also have to be re-routed under these plans. ln order to have a direct impact on the Council’s thinking and to make sure your views get heard, it is essential that you make your feelings clear to the main decision makers. Respond constructively to the council at the above web address to tell them your thoughts on the proposals – both for the Blue House Roundabout and Jesmond Dene Road. There are already a number of good posts on the website stating sensible objections – you will probably have your own points to add. Contact the Freemen at the above website and let them know your feelings about the suggested destruction of 5 acres of Little Moor and Dukes Moor as well as the ripping up of over 100 mature trees. “The Newcastle upon Tyne Town Moor Act 1988 protects the rights of the Freemen …….. the Freernen are now in a stronger position to protect the open space from development. Various schemes ore still proposed from time to time and the Freemen will remain vigilant in protecting the Moors”. “The commitment of the Freemen to protect the Moors, not just for future generations of Freemen, but for the City and citizens of Newcastle is paramount”. Let Catherine know your feelings about the proposals – the impact it will have on the local environment, the real difficulties it will cause for residents in her constituency and the fact that the plans sit uncomfortably with the grant given to Newcastle City Council for Newcastle to be a carbon neutral city. 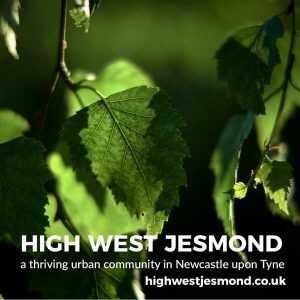 High West Jesmond Residents’ Association will be writing as an organisation to the above but the count of individual opinion is important and as your local residents’ committee we urge you all to make your voice heard – whatever your feelings about the proposals – by responding to the council, the Freeman and our local MP at the addresses outlined above. You can download and print our Make your voice heard leaflet here. All responses must be sent by 21 August 1996 so please don’t delay. 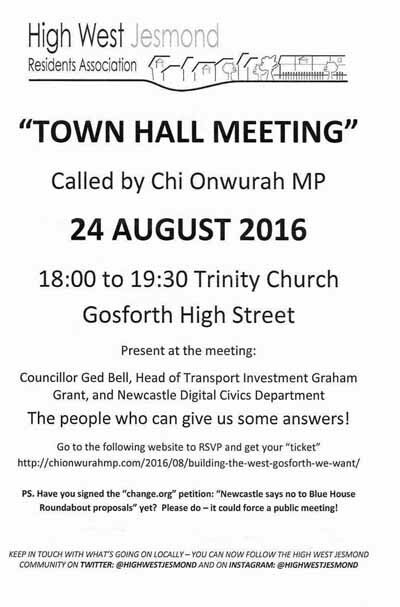 A “Town Hall” meeting has been caleld by Chi Onwurah, MP for Newcastle Central on 24 August 2016 18:00 at Trinity Church, Gosforth High Street, Newcastle so that local residents can find out more about the proposals put forward by Newcastle City Council for the major building work at Blue House Roundabout and Jesmond Dene Road that threaten the green open space of teh Town Moor. Tickets are available in advance through a dedicated website. We urge you to book your tickets and find out more at the meeting. 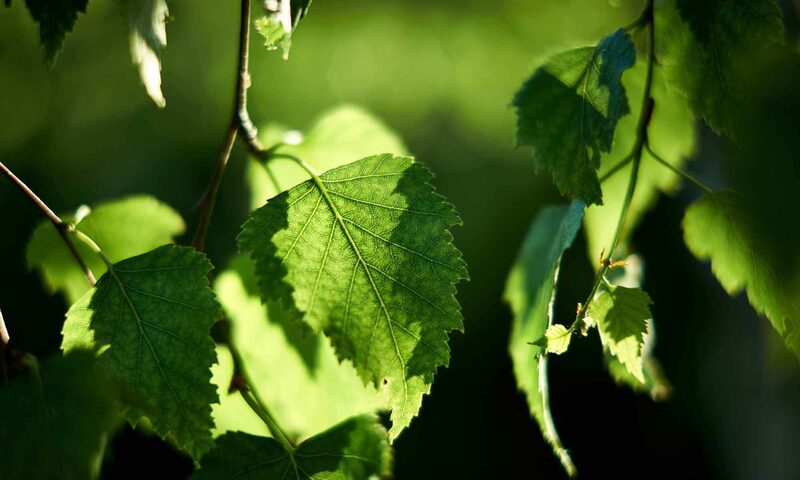 High West Jesmond Residents’ Association strongly objects to the plans in consultation put forward by Newcastle City Council for the Blue House Roundabout and Jesmond Dene Road junctions. 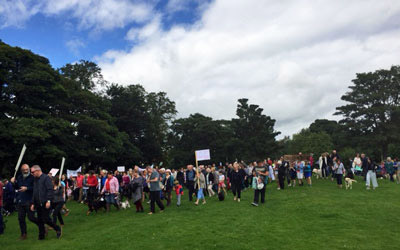 In conjunction with other affected residents groups and other local organisations we invite you to let your voice be heard by coming along to the March on the Moor on 21 August 2016 with banners/placards or anything else to make your views known.